Digiflavor Lunar Starter Kit is a new member of Digiflavor big family. 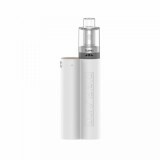 It comes with Digiflavor Lunar VV MOD powered by dual 18650 batteries and 4ml/2ml Lumi Tank. The advanced AS chipset Adopted make this kit innovative, which is compatible with coils as low as 0.1 ohm. Digiflavor Lunar Starter Kit is a new member of Digiflavor big family. 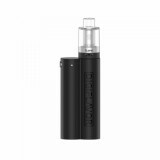 It comes with Digiflavor Lunar VV MOD powered by dual 18650 batteries and 4ml/2ml Lumi Tank. The advanced AS chipset Adopted make this kit innovative, which is compatible with coils as low as 0.1 ohm. What's more, it is built with ultra-lightweight ABS material, increases impact and heat resistance, exquisite and elegant. Together with the super Mesh KA1 0.3ohm(non-replaceable), top filling design and multiple protection, Digiflavor Lunar will definitely give you unforgettable vaping experience! 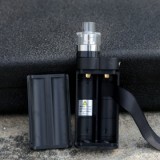 • Lumi Tank and Digiflavor Lunar MOD are also available in BuyBest.